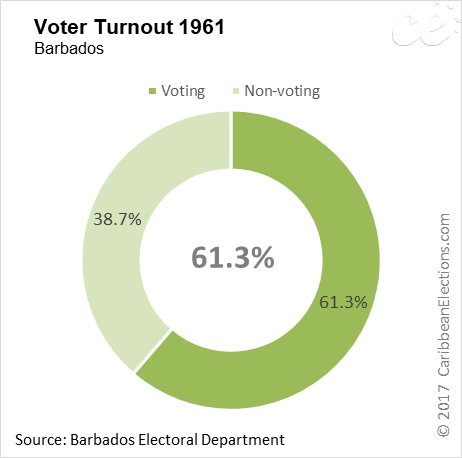 General elections were held in Barbados on 4 December 1961. 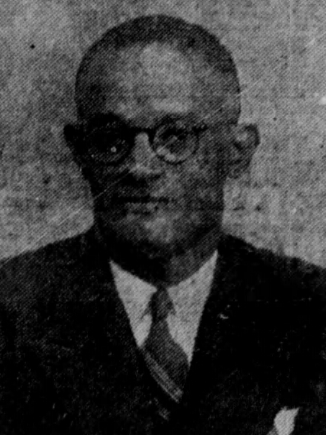 Elections were held to renew all 24 members of the House of Assembly on the normal expiration of their mandate, using a first-past-the-post system. There were 104,518 registered electors 43,342 males and 61,176 females. 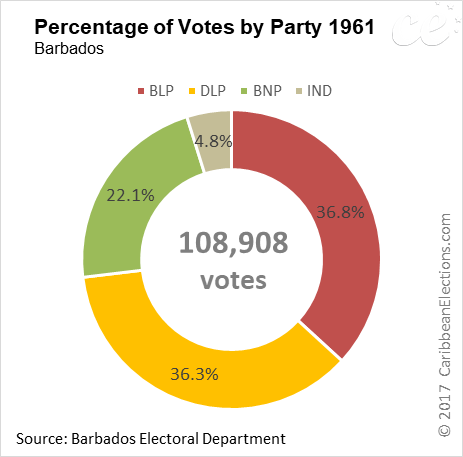 Three parties contested the 1961 General Election. 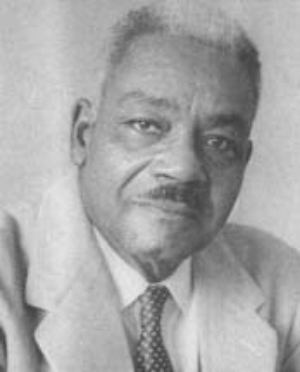 The Barbados Labour Party (BLP), led by Hugh Gordon Cummins; the Democratic Labour Party (DLP) led by Premier Errol Barrow; and the Barbados National Party (BNP), led by Ernest D. Mottley. 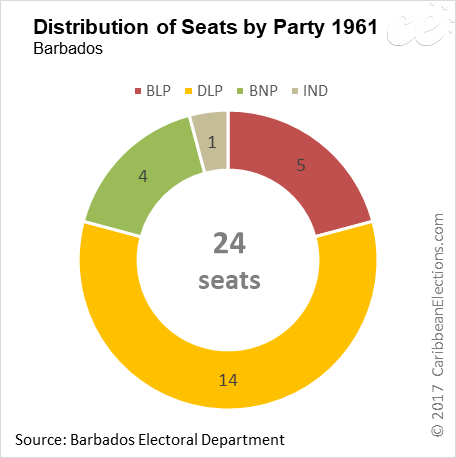 There were 60 candidates contesting the election: BLP - 22, DLP - 16, BNP - 12, and 10 independent candidates. 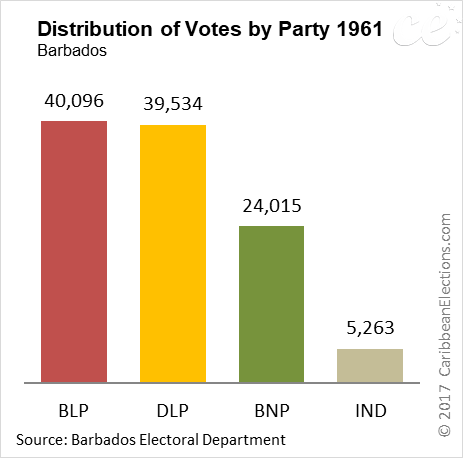 Although the Barbados Labour Party (BLP) received more votes, the result was a victory for the Democratic Labour Party (DLP), which won 14 of the 24 seats. The BLP won five seats, the BNP won four seats and one independent member was elected. 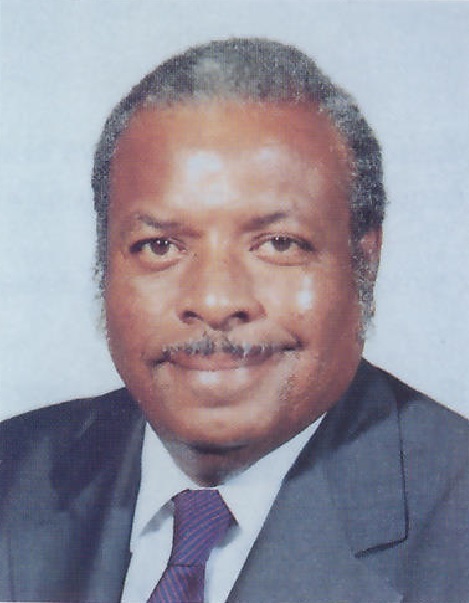 Errol Barrow, was sworn in as the Third Premier of Barbados.